I feared this time of the year the most because I knew I would have needed to draw two whole new sprites for PBS! ...The pressure to make several expressions and make them fit with the body of the character right when my schedule is the busiest! Against all my expectations, it went well though. Since the characters I needed are minor ones, I used a smaller canvas and that saved one whole day and half of work! It almost looked like a miracle! What characters could they be...? 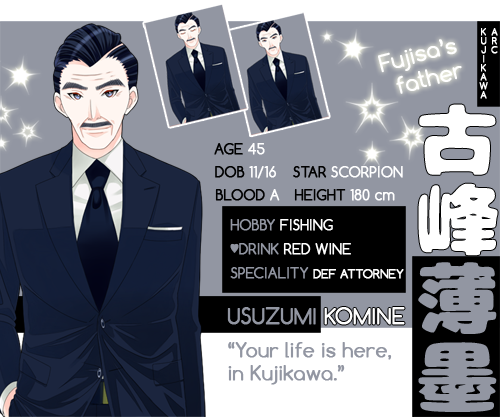 Well, Fujisa's parents were still a mystery, weren't they? 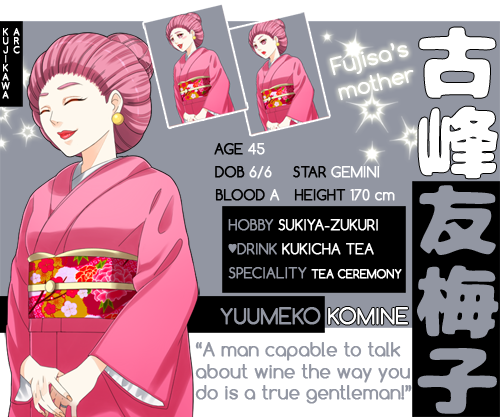 Since Kairi is going to become her fiance and have a job relationship with Komine senior, I will have the whole family to appear in the story from time to time! So, let's go to meet them! Since they have few variations and just one pose, I thought about presenting them through the renewed character cards. There's not much to say about them aside from what it's already presented in the cards, for their attitude will be best shown throughout the game. 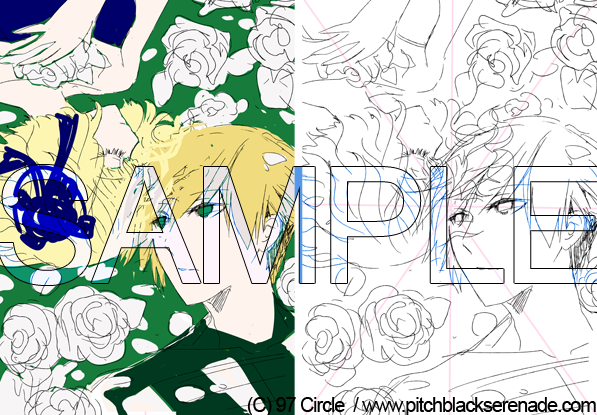 (※The following cards are just a preview and the content can be slightly changed before the demo is out). Rough sketch of the cover art. PBS is going to have its cover art soon! The concept is something I drew six years ago and to me it represents the story very well. Also, its compositions and its colors are two aspects I'd like PBS to be identified with. So, today I present the rough sketch to you! Characters are Kairi and Suzume. I changed the heights of a few characters again... 😥 Because apparently I keep changing my mind on those, eheh. But I also added a few more information! The only cards missing are Kairi's parents and Fujisa's parents which I'll upload as soon as I review them! The only minor character you can admire at the moment is the notorious "Madman". 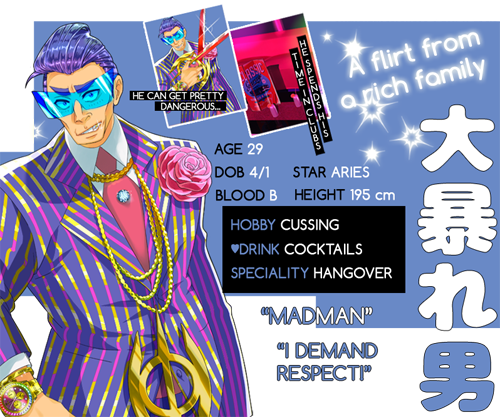 I've been procrastinating about renewing his card for a long time (and kept the old, rejected version), but now that I came up with a new graphic I finally had the occasion to publish the updated design! An update full of pictures for a change, uh? 😌 Next week I'm going to work on four more backgrounds (another tough week, ugh...), so expect loads of new pictures again! I hope you enjoyed today's post!